A day where we celebrate all that’s good about our home county – so we wanted to shout out ‘loud and proud’ about all that’s good about living in this ‘neck of the woods’. Why it’s great to live right here in North Staffordshire, both within and around the City of Stoke-on-Trent – but also what’s out there to enjoy right on our very own doorstep. We often get a bad press, but it’s surprising what this area really has to offer, if you only care to look. Here at Human-Nature Escapes, what we do requires us to tap into the wealth of culture that lies within the city, but also the natural beauty which lies ‘out there’ beyond our city limits. Our county boasts some of the finest countryside landscapes – landscapes which play their own unique part in the making England’s green and pleasant land. 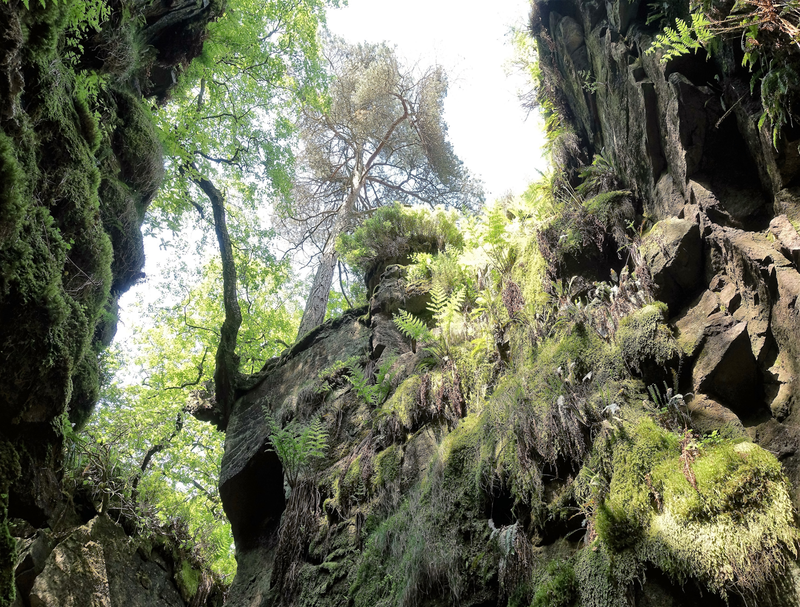 So here’s 21 photos depicting some of Staffordshire’s ‘escape’ landscapes that we enjoy, and reasons why we love life living here in Staffordshire. It’s our way to help celebrate the submission of our bid to become ‘City of Culture 2021’. 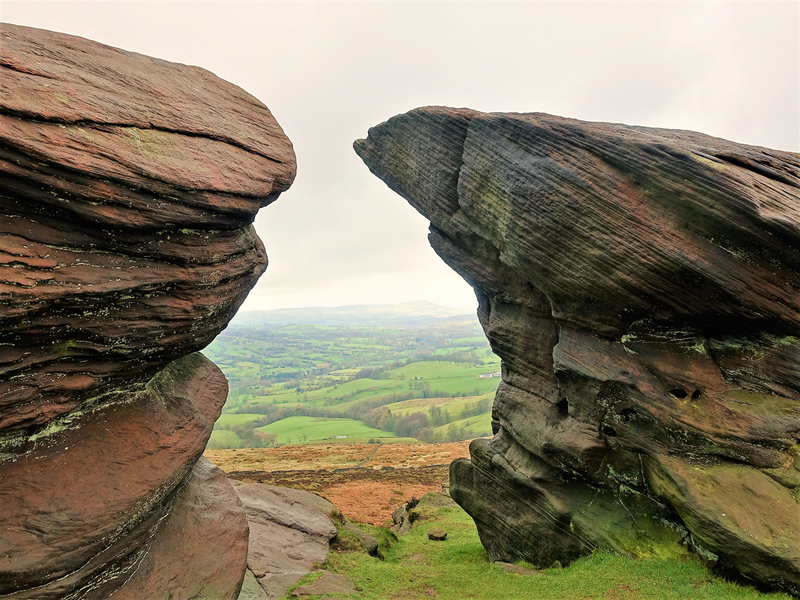 (These Staffordshire landscapes represent those we already enjoy and use at Human-Nature, we recognise that this is by no means an exhaustive list of what Staffordshire has to offer. All images have been captured by advocates, friends and volunteers of Human-Nature Escapes CIC). It’s a city rich in its own history. Everyone knows Stoke as the world leader in ceramics and pottery – but there are probably very few cities across the world that can boast that they have been, and still remain, a world leader in their craft. Admittedly, like any other city which has its routes in an industrial past, we can’t escape the fact that we have isolated places and spaces that aren’t so pretty, and might have seen better days. However, our industrial history cannot be erased from our city-scapes – neither should we wish it to be. It’s the gift from the past – and it’s part of our cultural heritage. It gives us a sense of belonging, linking us back to where we came from. It’s what binds us as people to people, and people to place, and perhaps that is what ‘culture’ is all about. 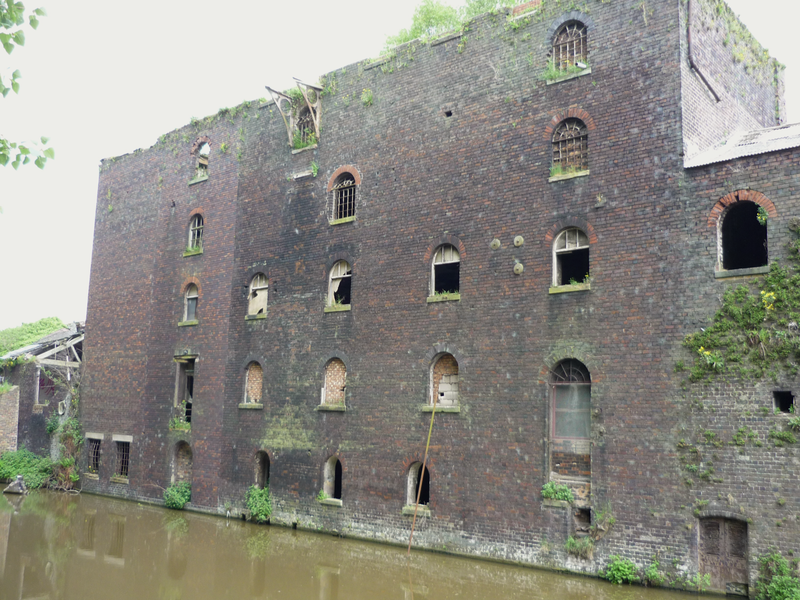 Some of our favourite parts of this city’s landscape are in fact those derelict factory buildings that line the canal around places like Middleport. They somehow help to hold our memories and seem to possess an aesthetic character all of their own, albeit it a somewhat tumble-down one. Of course they’re not all like that, the efforts from the likes of The Prince’s Regeneration Trust show how these industrial landscapes and heritage buildings with right level of investment can be revived and transformed into leading tourist attractions. What about the canals themselves, our two canals – The Trent & Mersey and Caldon Canals. Once the arteries that fed our pottery industry and provided their life-line, bringing in the vital raw materials to add to those like the coal and the clay dug locally, and of course ferrying away the finished ware. Nowadays the canals (as green corridors) offer a new lifeblood, bringing tourists passing through on leisure craft from the surrounding countryside, but it’s also a way for us town dwellers to get out and about on the towpaths, for our own leisure and wellbeing. These waterways add strength and vitality as they cut across the heart of our city. 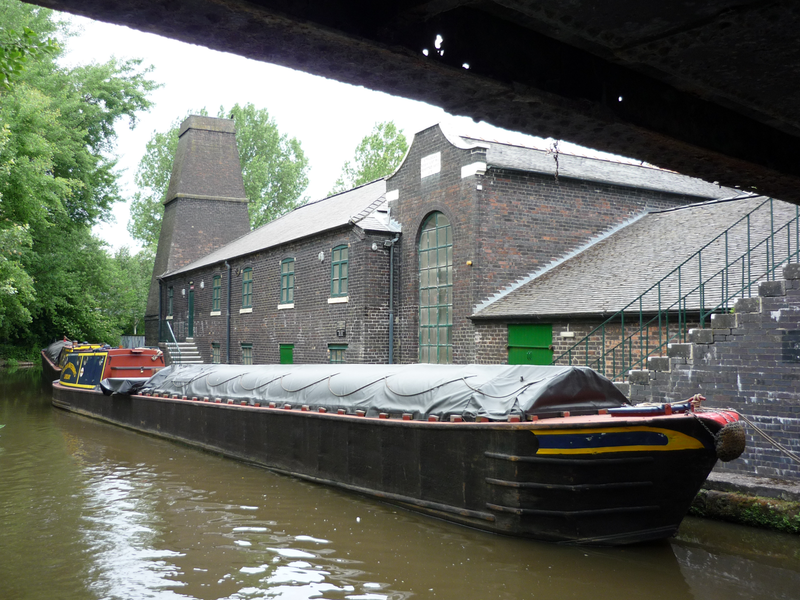 Where our two canals meet is Etruria – the site of the Industrial Heritage Museum, with steam powered bone and flint mill. The museum also plays host to an annual canal festival, a cultural celebration of life on the canals and local heritage. Not far from the museum is Festival Park, the former National Garden Festival site. Evidence that we’ve history in successfully hosting major national events. Not a lot of people realise, but sandwiched between the retail park and canal still lies a well maintained area of enjoyable green space emanating from the former garden festival – well worth a visit on your next shopping trip. Of course our landscapes are forever evolving – from heavy industries of the past, to modern commerce and trading through communication and technology – with some rather impressive new build premises (like Bet365) creating a whole new landscape. Of course Bet365 links also to our Premiership football team of Stoke – but let’s not forget its one of our two local professional football clubs. No matter whether you support Stoke or Port Vale, these teams have helped shape our City through links to sport. Whilst the accolades have not been so great in recent years, we do boast our very own sporting legends in the like of Sir Stanley Matthews and our living legend, World Cup winning goalkeeper Gordon Banks OBE. Our sporting culture has already been recognised through our most recent award as European City of Sport. From the trills of the match, to the thrills of the theme park. Well, of course we have the best Theme Park of anywhere in the UK, and with Alton Towers we have one that probably challenges some of the best in Europe. 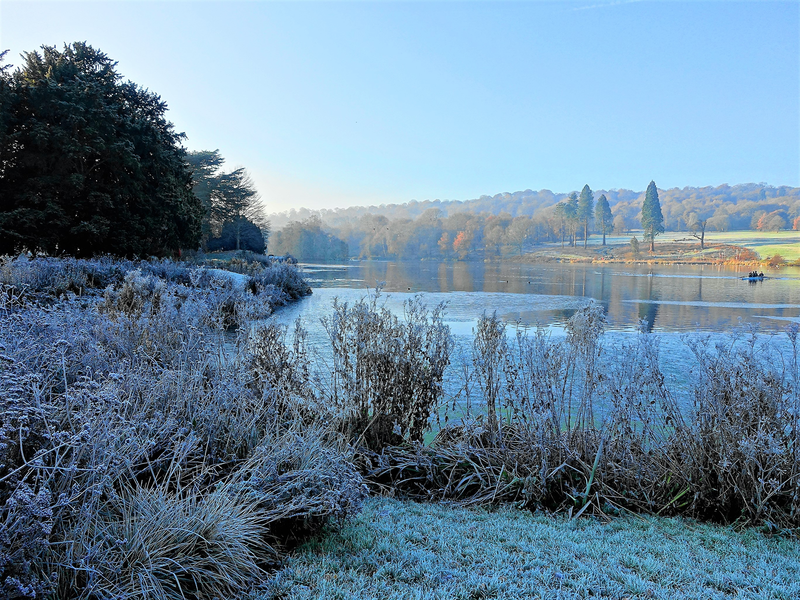 Of course it’s one set in its own beautiful grounds and landscape, but if beautiful gardens and landscapes is what you’re really after, then there’s none finer (and more local) than Trentham. 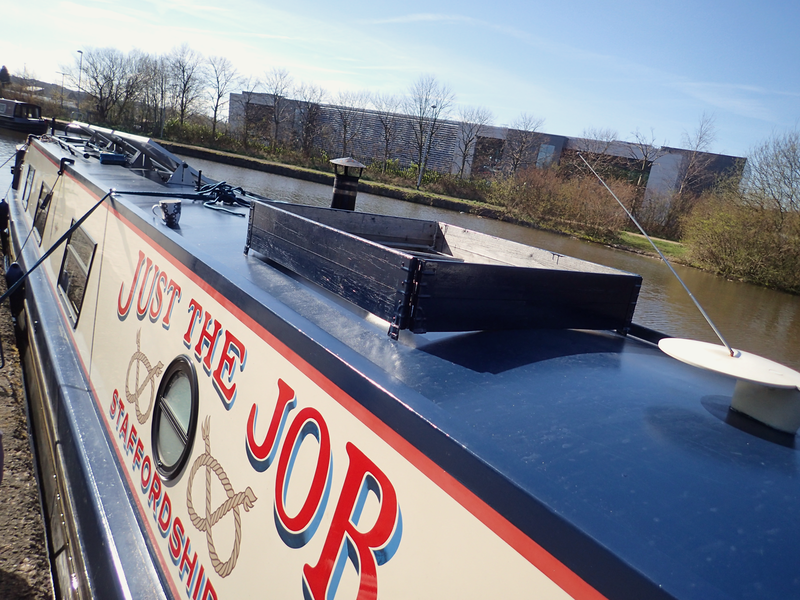 Follow the Trent & Mersey canal passed Stoke’s Bet 365 Stadium and on to Trentham – using greenway it’s possible to connect to Trentham Gardens and Estate. 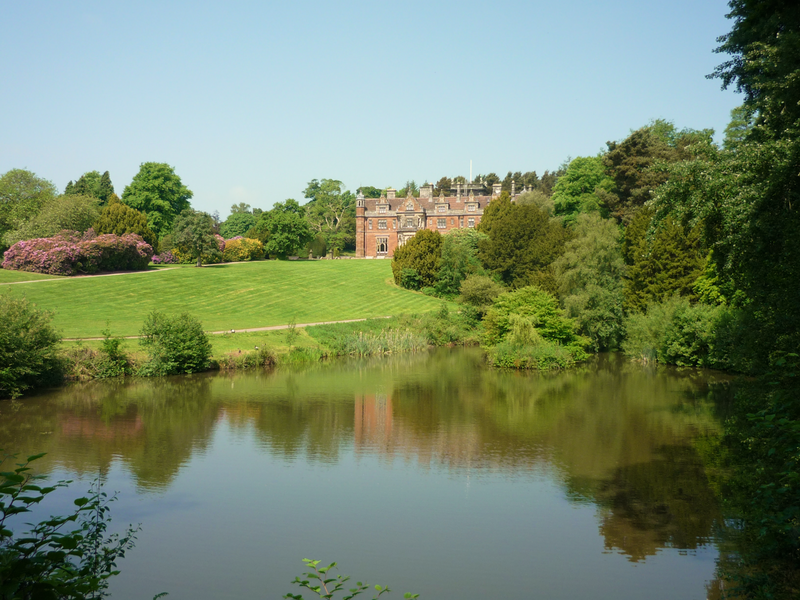 Undoubtedly one of Staffordshire’s finest landscapes, with Italianate gardens that rival the best of any gardens in the country. Walk the lake and appreciate the capability that Brown himself spotted in this landscape. Alternatively enjoy the wider estate and take a stroll through ancient oak woodlands with views from Monument Hill, looking back over the City. Places like Trentham are of course living landscapes. More than just ornamental gardens, but supporting a diverse range of animal and plant life as natural habitats – from heathland to woodland, and wetland too. Staffordshire, through organisations like Staffordshire Wildlife Trust provide opportunities for people to get more involved in the management of the landscape and the enjoyment of the wildlife that it supports. Back along the canal in the other direction, beyond Middleport and Longport is Westport Lake. 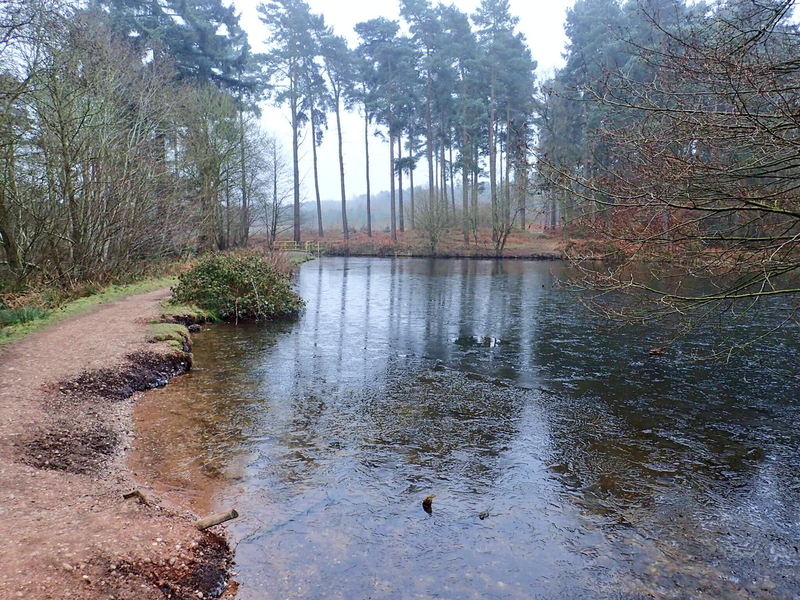 As one of the 2 main bases for Staffordshire Wildlife Trust it provides a great spot for bird-watching and a flat and easy circular route walking. 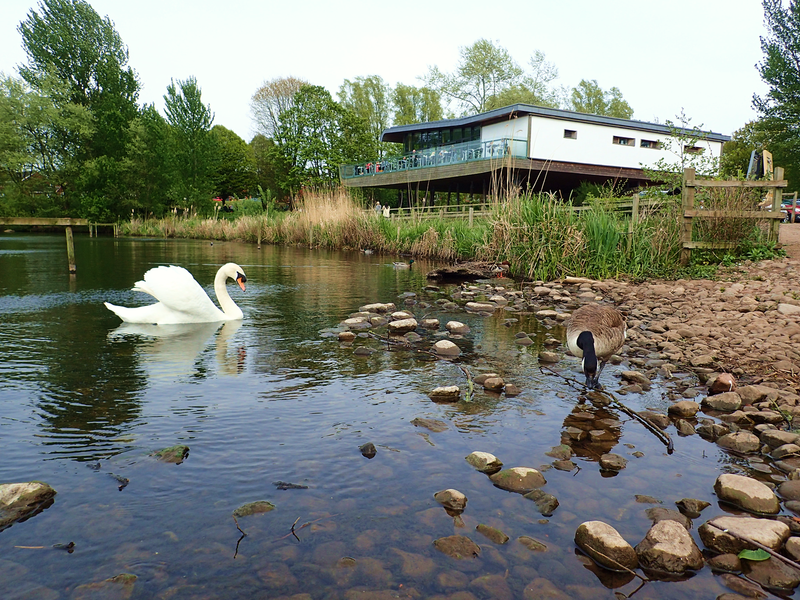 The eco-friendly and low energy Visitor Centre provides a welcoming cafe, with panoramic views of the water. 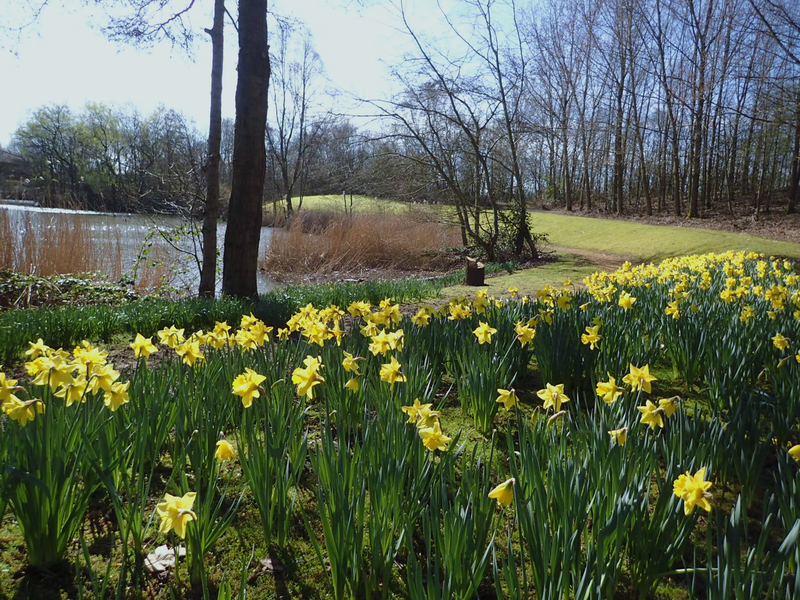 A perfect place for a quick visit for families, walkers and nature lovers alike. The lake provides an important over-wintering site for many water birds and some unusual species are known to stop-off at the lake during migration. The conservation area at the far side of the site provides a home to many animals including kingfishers and dragonflies, and has been lovingly improved and maintained by local conservation volunteers in recent years. We often find that local people aren’t always aware of local green space assets, and come away surprised at discovering new places to visit. Sometimes we surprise ourselves too, finding or rediscovering hidden gems within the Staffordshire landscape. It’s almost with reluctance that we reveal this one, it’s such a hidden gem, we’d prefer to keep it to ourselves. Behind Trentham and accessible through Trentham Golf Course and Hanchurch Pools is a forested area know as Hanchurch Hills (& Swynnerton Park). 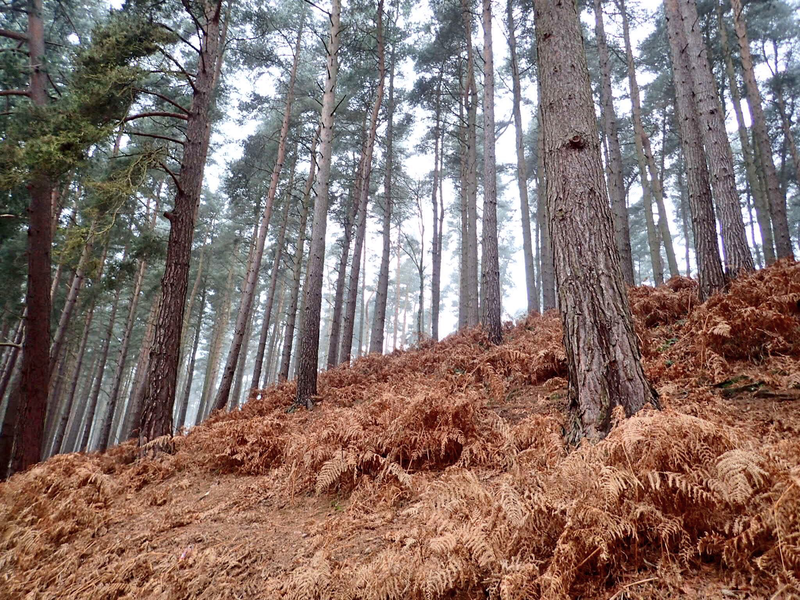 To me it’s a smaller version of Cannock Chase – but the one that sits right on the doorstep of Newcastle & Stoke. Great for walking the dog, a family picnic, or a place for traffic free greenway cycling or mountain biking. Have you ever been to (or even ever heard of ) Parrot’s Drumble. The name itself deserves some recognition! Again, it’s a little known spot, tucked away behind the industrial park near the Freeport Shopping Mall near Talke. Probably one of the largest expanse of bluebell woodlands you’ll find around these parts, and a small Staffordshire Wildlife nature reserve playing host to species like Spotted Flycatcher and Great Spotted Woodpecker. At Dimmingsdale, originally an aristocrat’s dream has now been turned into a delight for everyone, courtesy of the Forestry Commission. The magnificent drives originally built by the Earl of Shrewsbury, are now incorporated into walks through the valley. Visitors to the beauty spot now stroll the paths where horse drawn carriages once carried the gentry through on their pleasure trips. 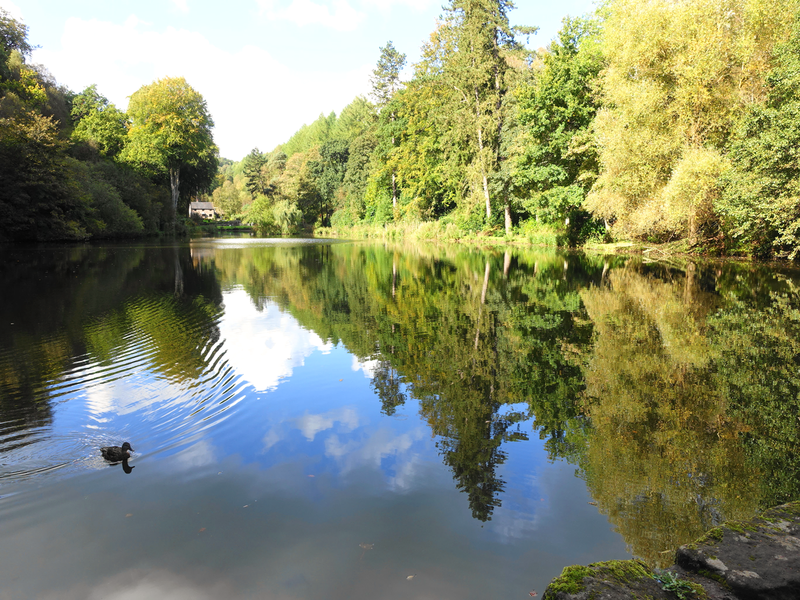 The rolling hills are complemented by dramatic rocky sandstone outcrops which are challenging to reach, but the flatter walks around the pools provide a delightful and easier woodland walk at any time of year. 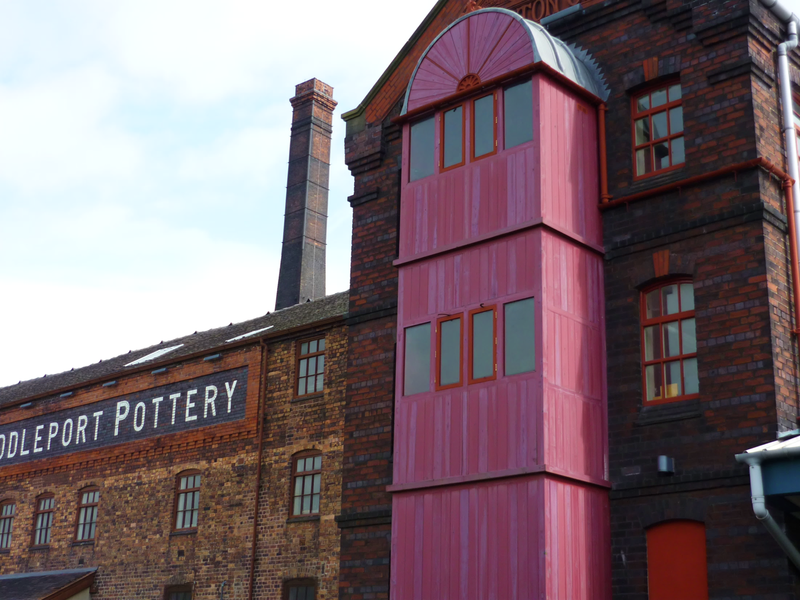 Let’s not forget that as well as our pottery industry, our industrial heritage was built on more than just pots. Look back a generation and our landscape was peppered and scarred by the remnants of the steel and coal industries. Who’d have thought the mining industry which cut such a blight into our local landscapes could end up as such a green space asset? 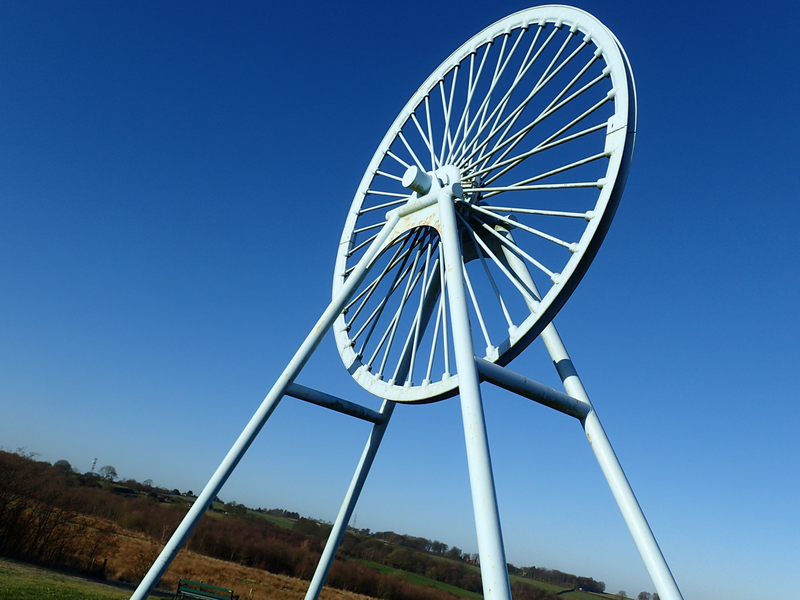 We have two parks for the price of one – Apedale Country Park and Silverdale Park (linked by a farm track opposite the Sustainable Energy Station Visitor Centre at the top of Apedale) . Two great parks offering a sense of history of place – and even a museum (and a developing steam railway) at the bottom end of Apedale to celebrate that industrial past. 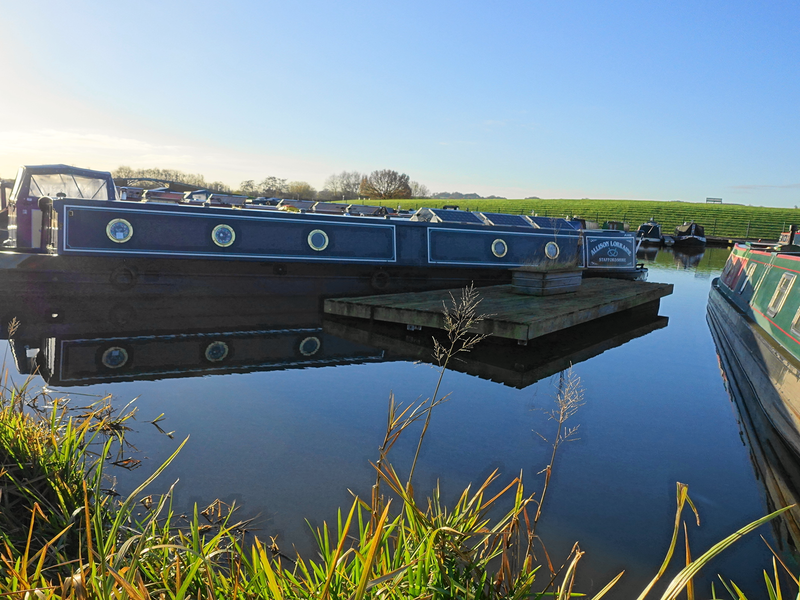 As well as the canals, there’s numerous stretches of water to enjoy within Staffordshire. Places like Tittesworth Water linking the agricultural landscape of North Staffordshire with the wild moorlands of the Peak District. As a water source it pumps on average 28 million litres of water a day to households and businesses to parts of Stoke-on-Trent, Leek and the Staffordshire Moorlands. Even closer to the City is Rudyard. Head out of the city and towards Leek, you’ll find yet another lost jewel in the of our local landscape. Built to feed the canal systems of The Potteries, it was once the ‘away day’ playground for the city dwellers – and why shouldn’t it still be today! 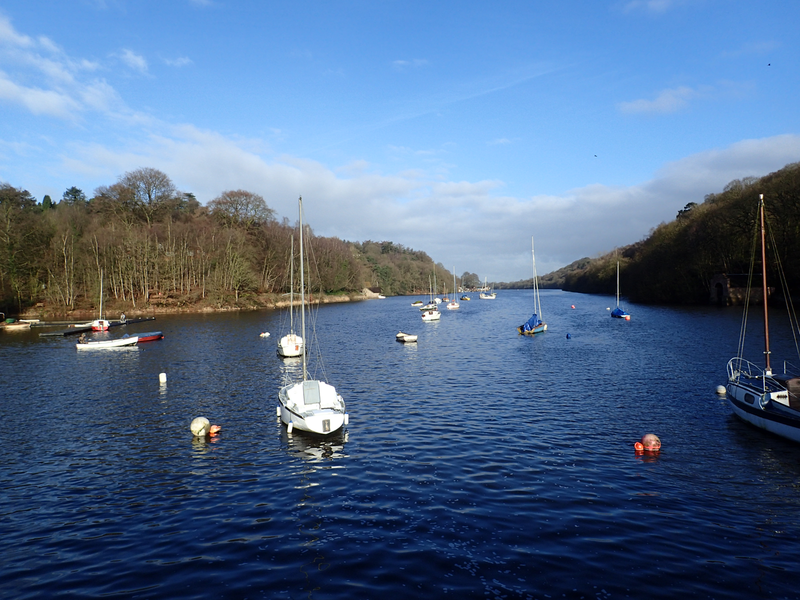 It’s a great loop walk around the lake, or provides an gentler linear walk or easy cycling path along the East shore, or catch the miniature steam railway that runs in Summer months. Of course the lake even today, still provides a valuable resource for water based sports like boating, canoeing and fishing. Rocky sandstone outcrops dominate the landscape, jutting out at some crazy angles and even one that makes the face of a man that winks his eye as you pass by on the Buxton road. What can be more welcoming in a landscape than that? Stunning 360 degree views across counties for those prepared to take a walk to the higher parts. 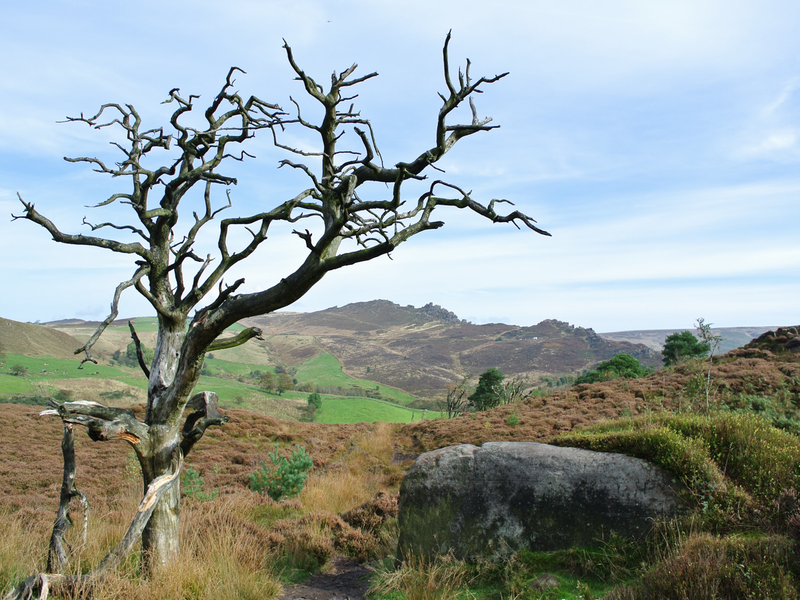 The dramatic scenery of the Roaches is further enhanced by land features such as Lud’s Church, places with atmosphere and intrigue and stories to tell. Beyond The Roaches lies the atmospheric Lud’s Church is a deep chasm penetrating the bedrock which was created by a massive landslip on the hillside above the village of Gradbach. 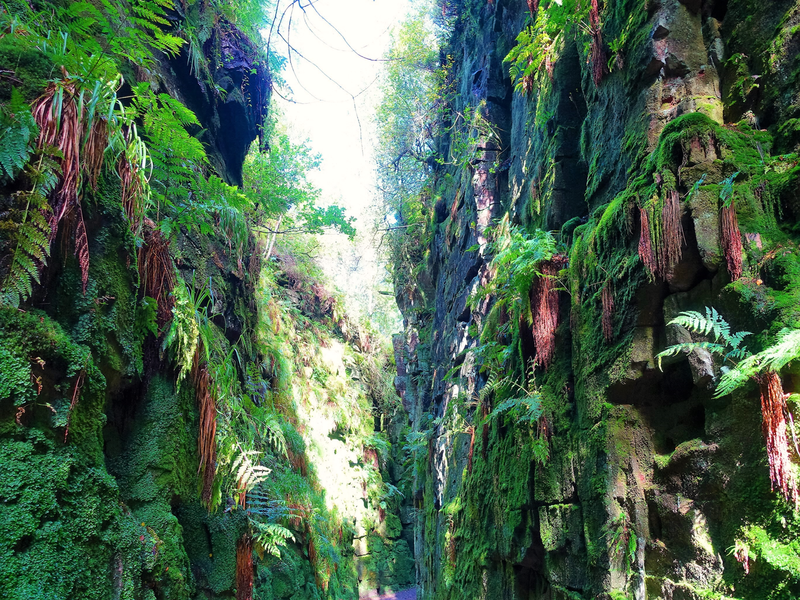 Legend has it that Robin Hood, Friar Tuck and Bonny Prince Charlie are all reputed to have used the chasm as a hiding place from the authorities. Other legends suggest that Lud’s Church was named after a horse of a huntsman. Pursuing a deer, the hunter failed to see the danger of the landscape, but the horse did, bucking him to his death in the chasm below. Stories originating around the same time suggest that the hunter killed still roamed around the surrounding woods, covered head to toe in moss and leaves – locals called this legendary being the ‘green man’. 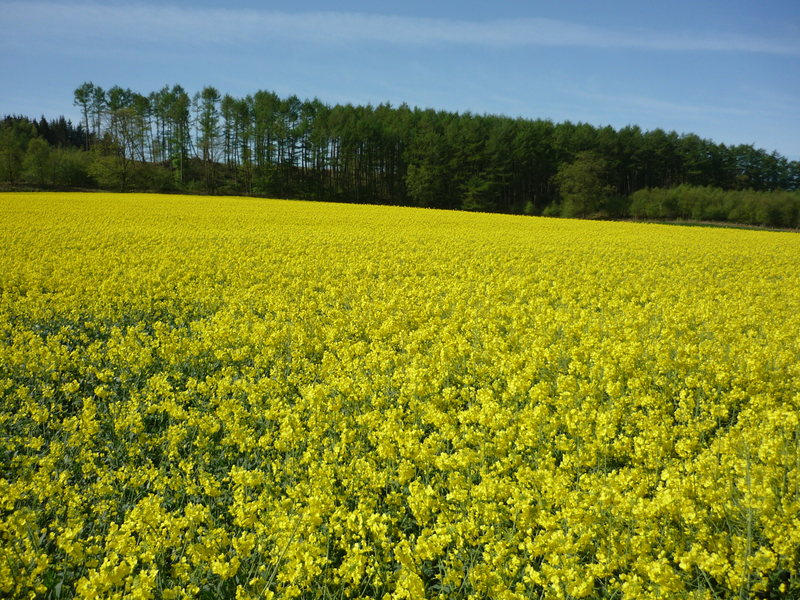 Photo 17 – Vivid greens, dripping with moisture in provide a perfect, damp micro-climate. We boast not one, but two universities – who said we were an uneducated lot! Staffordshire University is doing its bit for our City of Culture bid from right in the heart of the City – and of course on the leafy fringes of Newcastle we have our second university of Keele. Did you know that Keele is the largest green campus in the UK and one that consistently ranks top for student experience. It’s not labelled Green Keele for nothing – it’s got a fabulous arboretum and famous for its cherry tree collection. Hidden away behind Keele Hall lies a series of pools which cascade down into Spring Wood. 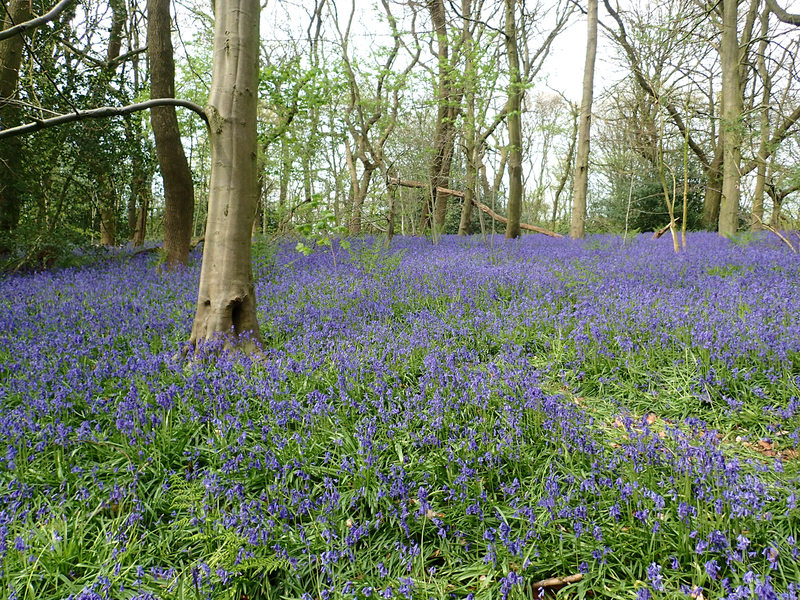 At this time of year just check out those bluebells – and don’t forget to watch out for those Keele squirrels too! It’s hard to decide what you are going to do first on Cannock Chase. Blaze the mountain bike trails, enjoy a zip wire experience as you ‘Go Ape’, or explore the landscape on Segways, on horseback, or by orienteering – and so much more. Let’s not let the doubters destroy our hopes and dreams of becoming the next City of Culture. As you can see we’ve a lot to be proud of – a lot more than people who know nothing about this area might think – and a lot more than most cities! In many respects we’re somewhat unique in that we’re a city formed by a collection of smaller towns that are united around one thing – our pottery! I am sure people like Emma Bridgewater would agree, it’s not only with our pottery, but our places and our people that we make our mark. We can knock spots off any other city, any day. Be proud, be Stoke – ‘United Strength Is Stronger’. (Even if we’re not successful in our bid, let’s just keep this momentum going – and go on to celebrate our ‘City of Culture’ anyway).